Emily Wright understands if you’re a little skeptical of miraculous healing. For years, all she got out of visits to doctors, specialists, and physical therapists were mounds of bills, lots of shrugs, and heaps of frustration. Then something happened — well, actually, a series of things happened — that made her a believer that the Holy Spirit is supernaturally at work up to this day. “I knew Jesus was a healer. I knew he performed miracles. But I never dreamed he would perform one in my body," Emily says. "There is power in the name of Jesus." 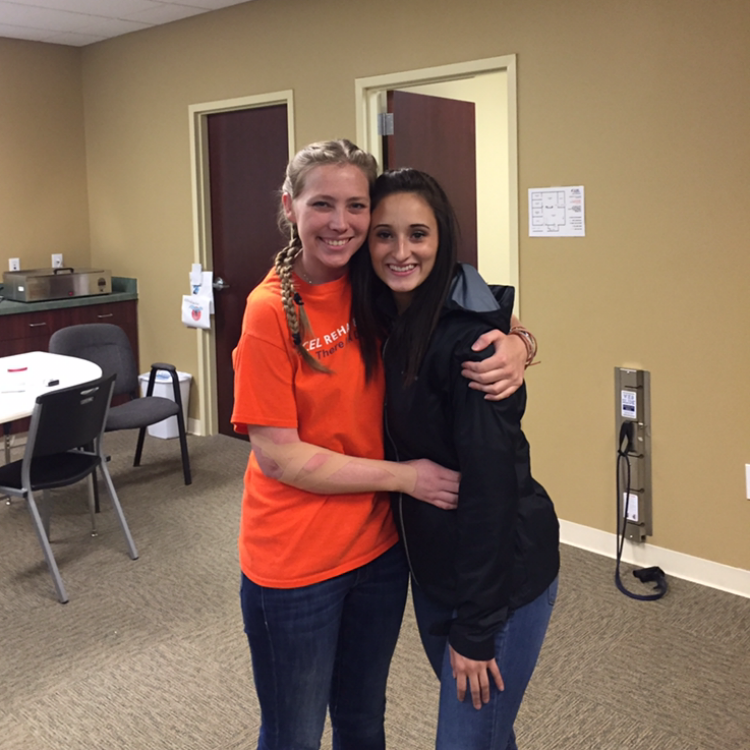 Emily is pictured with a co-worker in the physical therapist office where she works. Her locked elbow is taped up. Emily’s journey began on a snowboarding trip at Cataloochee, N.C., with a longtime friend in February 2015. Early in the day, she fell on her outstretched arm. She didn’t think much about it — she kept on boarding. But on the way home, she realized she couldn’t raise her arm to take her sweatshirt off. Both a physical therapist she works for and a doctor confirmed that she’d separated the AC joint in her shoulder. She was told two months in a sling would fix it. The first diagnosis was “frozen shoulder.” What followed was months of grueling two-hour stretching and therapy sessions three times a week. When that didn’t work, she did surgery in October 2015. The girls were telling me they felt the presence of God, tangibly. Then three months later, her elbow locked into a bent position and stayed that way — just above her jeans pocket. Sometimes it would shake violently with tremors. Emily’s orthopedist wondered if it might be a nerve issue and referred her to a neurologist at Emory University for a battery of tests. 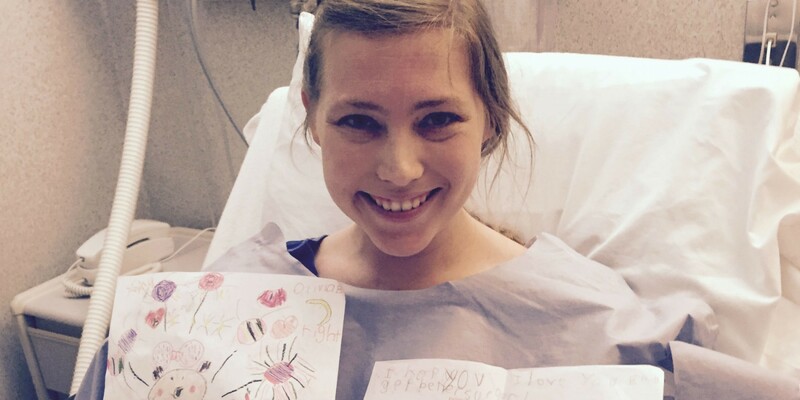 She underwent a nerve conduction study, an EMG test, and four MRIs. Everything was clear. Everyone was stumped. “They all agreed there was something wrong, but they couldn’t pinpoint what it was,” Emily says. She didn’t think things could get any worse — until they did. During a workout at the beginning of 2017, she sprained her ankle. Weeks later, well after the swelling had gone down, she’d nearly fall every time she took a step. Nothing was anatomically wrong. Her physical therapist could only recommend more strengthening exercises. Emily had to learn to walk in a different way. She kept her leg straight, led with her other foot, and dragged the busted one forward. For any 27-year-old, the crippling injuries would feel devastating. But Emily’s limitations — and the mystery surrounding them — seemed especially cruel for someone working as an assistant in a physical therapy office who understood human physiology well. “I don’t normally cry, but I did a lot then because I didn’t know what to do,” Emily says. 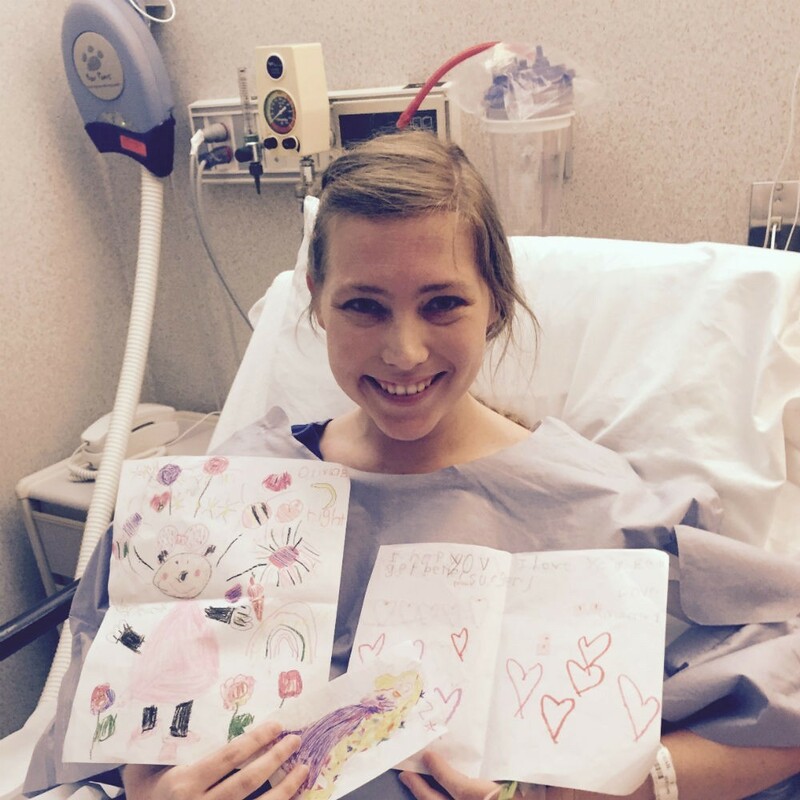 Emily shows off messages of support before undergoing surgery, unsuccessfully, to improve the range of motion in her shoulder. That was the backdrop for what happened at Gauntlet ’17. 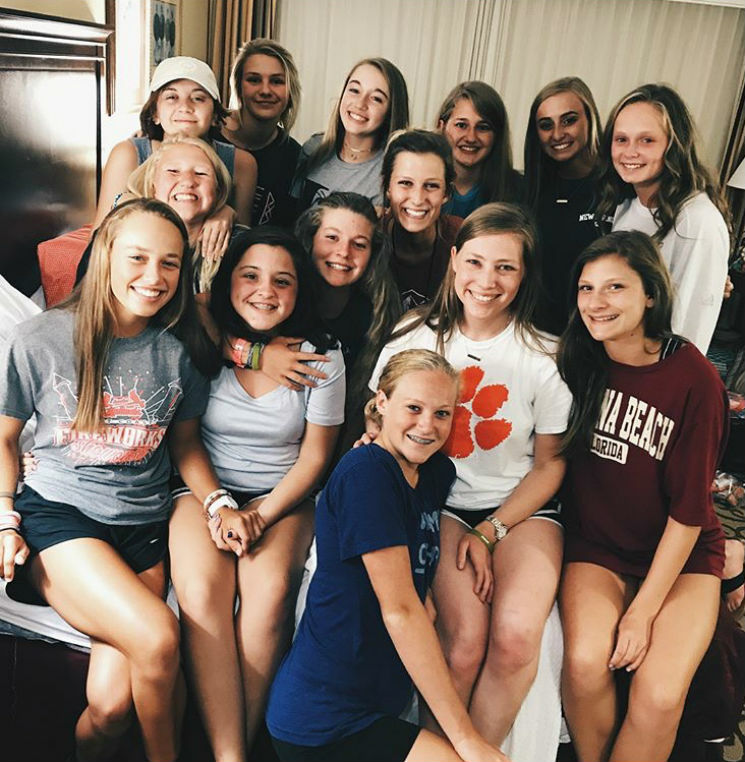 Despite the major amount of walking she faced that week — up and down the beach, to and from the Ocean Center and hotel — she wanted to be there for her 9th- and 10th-grade girls. She had been leading many of them since kindergarten. “I wouldn’t miss it for the world,” Emily says. Gauntlet week was challenging from the start. She limped around the best she could and iced her shoulder whenever she had the chance. She had to lean into the safety team and other volunteers to help her. Still, she had a sense she was supposed to be there. During the third evening session, she found out why. At one point in the service, one of the worship leaders encouraged everyone to ask for healing. Emily knew she had to respond. As if to make a point, her girls looked straight at her. So Emily lifted up her good arm to invite people all around to pray. Emily, top left, pictured in the Ocean Center at Daytona Beach with the girls in her room and her co-leader. After she’d scratched out with medical experts, Emily had often told herself — more rhetorically than anything — that only Jesus would be able to heal her. But in that moment of communal prayer, she actually believed He could. Emily was showered with supportive text messages and assurances from friends that they were praying for her. “The Lord will heal you,” one of the messages said. “Jesus sees you,” said another. 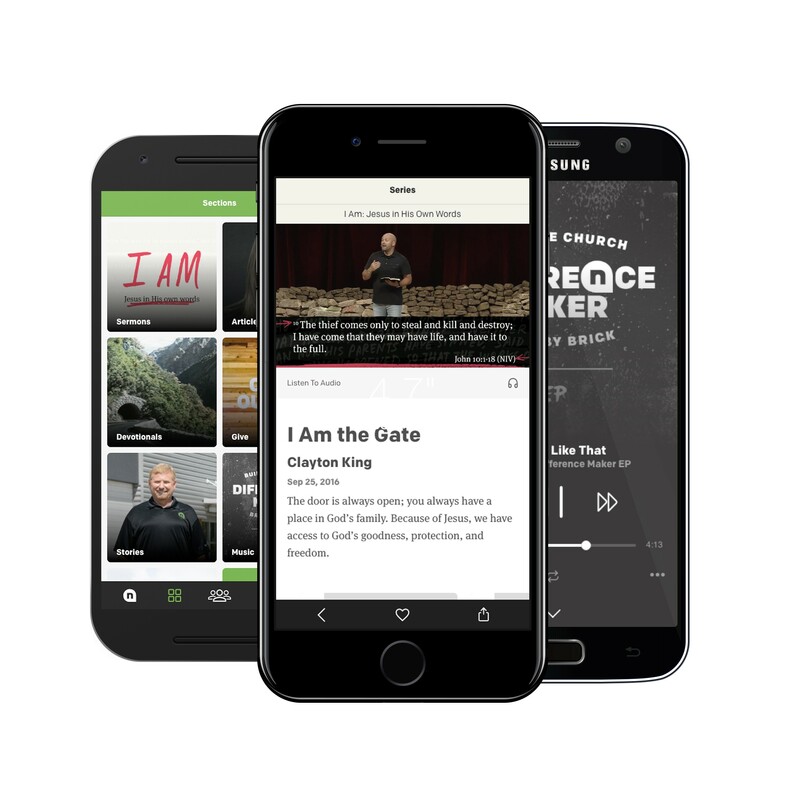 The following day, a KidSpring volunteer leader she served with told her that Jesus kept putting her on his mind and heart. He knew someone who wanted to pray for healing over her, he said. Would you mind? That night, Emily, her fellow volunteer, Leland, and a large group of students and adults met at the back of the auditorium to lay their hands on her and ask for healing. Leland’s friend, Paul, began to pray and urged her to exercise her faith: “If you believe you have received this healing, it will be yours,” he said. As the prayer continued, Paul had asked her to try to move her limbs. My healing was coming. I knew it. Emily tried to lift her arm. To straighten her elbow. To flex her ankle. In fact, she was carried to a car for the ride back to the hotel that night, and she needed a wheelchair to get to the room. Nevertheless, Emily knew that during the prayer she had been fully healed. 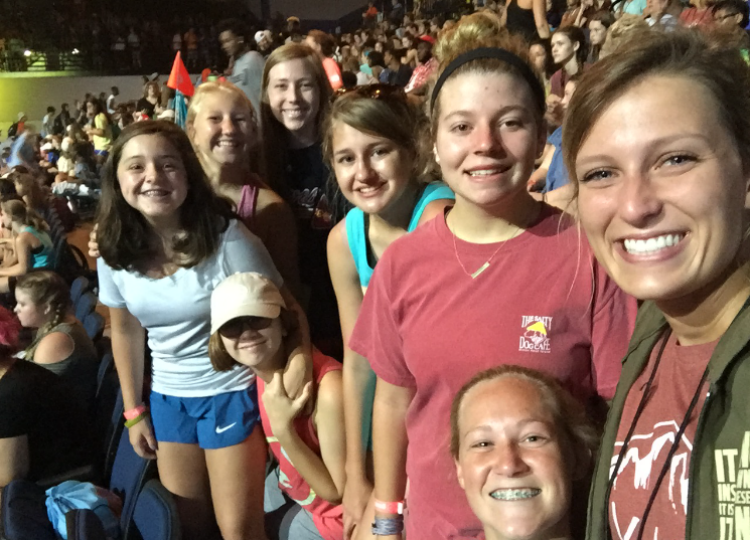 Emily, center right, pictured with a group of the girls who prayed for healing. They celebrated the special moment in their hotel room later that night, with tears in their eyes and the joy of the Father on their faces. On her return from Gauntlet ‘17, she proclaimed healing Scripture over herself every morning, claiming authority over the sickness, and commanding it to leave in Jesus name. Whenever doubts would creep in — nothing had outwardly changed, after all — she rebuked Satan’s lies by reminding herself of specific Bible verses. But Emily knew she was healed. "I believed it with everything in me," she says. "Some people gave me funny looks because what they could see with their own eyes didn't look like what I was telling them." Emily saw it as her responsibility to believe it and speak it every day. And she asked others to agree with her in prayer, too. A few weeks later, she and her physical therapist, a Christian believer, decided to stop therapy altogether, since her body was neither getting better nor getting worse. Then at a Fuse gathering one night, she was walking between the main auditorium and student building to get her volunteer tag for the night when she began to notice her hobble was gone. The Father is good, faithful, and loves us so much. Emily saw that she was walking normally! She rushed to tell her girls, as fast as she could now move. “They went crazy,” she says. "My sweet little girls would encourage me so much to believe what had happened would come to pass." A couple days later, Emily started running for exercise again. That seemed like the best way to work out her healing and act out of her faith, she says. Then a week later, as she leaned her head over to brush her hair with her bent right arm, something felt different. She still couldn’t lift her arm straight up. But she did notice that if she moved it in front of her face, she could raise her bent arm at the shoulder. 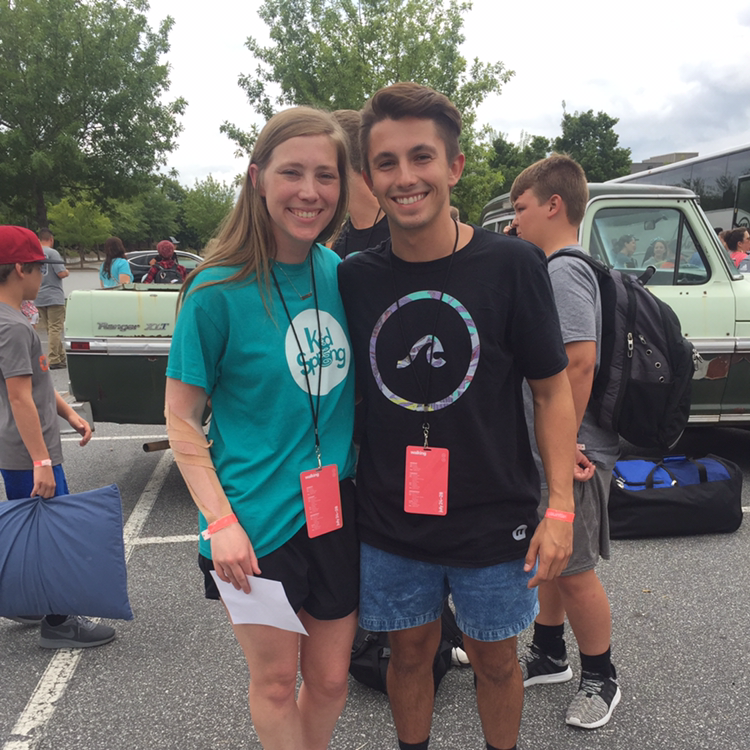 Emily pictured with friend Ben after they stepped off the bus returning from Gauntlet. Ben, one of the people who sang over her at Gauntlet, prayed with Emily at a later date, and her arm was fully healed. Finally, in January 2018, she ran into one of the men who had sung over here at Gauntlet all those months earlier. He had made a habit of asking how she was doing. This time, she told him about the healing in her leg, the lack of pain in her arm, and the modest improvements she’d seen in her arm’s range of motion. Then he asked her boldly, could we pray one more time? Just that day, Emily had a conversation at work about a strange urge to straighten her arm, even though she couldn’t. Perhaps, her full healing was at hand, the coworker wondered. At Fuse that night, it happened. Emily’s friend commanded the elbow to loosen in the name of Jesus, and immediately, she felt everything release. At that moment, the arm just straightened. She knew she had to find her girls to show them what God had done. When she went to work the next day, she flaunted her astonishing new ability. “I have something to show you,” she said. Then she shot her arm straight into the air. Emily pumps the air in victory with her straight arm. 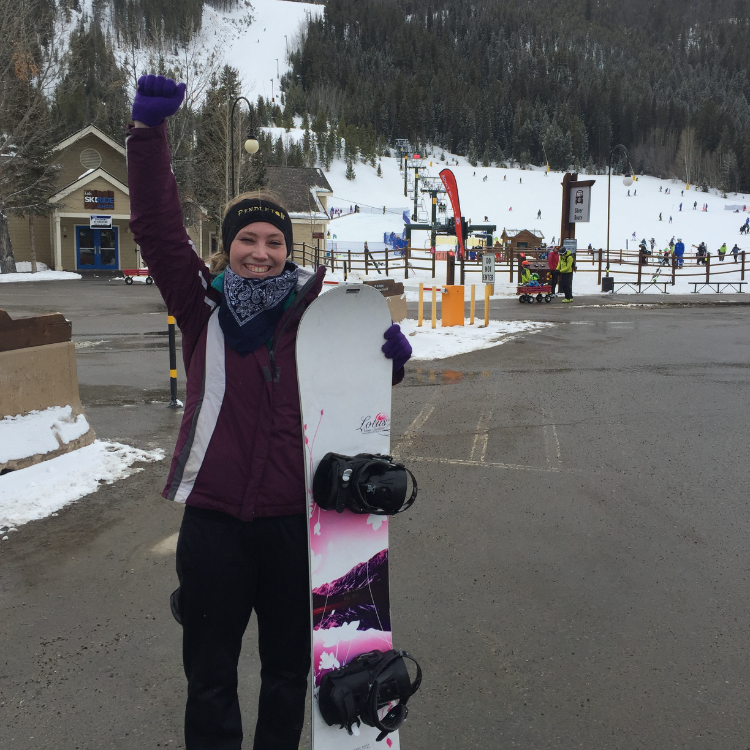 She celebrated her healing with a snowboarding trip to a resort near Breckenridge, Colorado. Everything about Emily’s life is normal — back to what it was. Except for Emily’s faith, that is. The changes there are unmistakable. She trusts God’s promises like she has never trusted them before. She prays with more boldness than ever. She is eager to pray for healing for others. And she has a conviction about why God chose to heal her progressively — the way it took so many people; the challenges of maintaining her faith in the coming miracle; the way she got to display it before everyone. “I think maybe the Lord just wanted people to see it happen for the faith of the others involved — to grow their faith, and my faith, even more,” she says. One more thing: A little more than three years after her snowboarding injury, Emily traveled to a resort near Breckenridge, Colorado, to snowboard again. This time, no drama. Just pure joy. “The Father is good, faithful, and loves us so much,” Emily says. "I just re-live it every day. I try to at least."